Soooo nice to hear from you again :-)) still in Mexico? I guess you are having a very nice time there, amiga... I hope so. No hay semillas de amapola en México? so bad. Yo también te deseo un buen verano y un regreso feliz a Canadá. 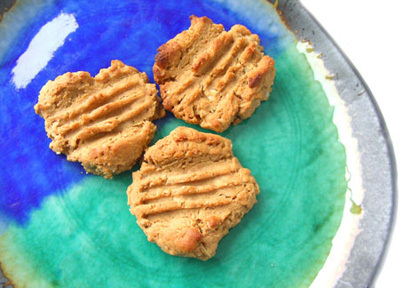 Gracias por el resúmen de recetas (want to try JUST TODAY your Tahini Oatmeal Walnut Cookies). Sí, estoy en Mexico todavia - me encanta. I have enjoyed the recipes on this site so thought I would share one of my favorites. The standard sorghum/coconut flour one is a staple for me. Melt oil in microwave. Add pumpkin, spices and egg whites. Mix dry ingredients and add pumpkin mixture. Mix until combined, put on pizza baking stone or cookie sheet. Pat into 8-9 inch circle 3/4 inch thick and bake at 400 for 15 - 20 min. Leave out the spices and use 1 cup of good full fat yogurt instead of pumpkin. If the yogurt and egg whites are room temperature the coconut oil will not harden up again. If it does, reheat briefly. .